Typically, teen drivers are more prone to accidents than the general population. There are many reasons for this fact, which include inexperience and a tendency to be more distracted behind the wheel. Because of their unique vulnerability, it is important to protect teens as well as others on the road by educating teens about safe driving. In 2010, 1,920 people between the ages of 15 and 20 died in motor vehicle accidents, according to The National Highway Traffic Safety Administration. One out of every 10 crashes involved someone in this age group. The rise of cellphone use and, consequently, distracted driving is one of the main causes of teen car accidents. Recently, Alabama teens were put to the test on their texting and driving skills. Using a simulator, teens attempted texting while objects on the simulated windshield would pop up in their way. Very few teens were successful, and many crashed within the first ten seconds of the simulation. The aim of the simulation is to give teens insight into the dangers associated with texting and driving. Through education, teens can learn that texting and driving is just as dangerous, if not more dangerous, than drinking and driving. Through methods such as this, Alabama hopes to achieve safer roads for all. Although these tips will not entirely eliminate all accidents, they can significantly lower the risk. Being safe is much better than being sorry. If you have been injured as a result of someone's negligent driving, regardless of the driver's age or experience, you may be able to file a personal injury lawsuit. 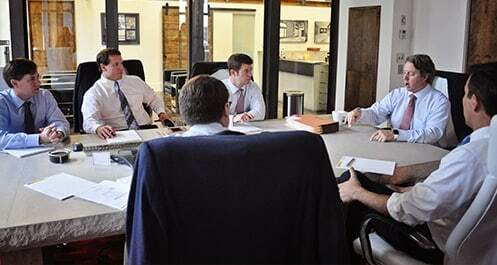 Speaking with a skilled Alabama personal injury lawyer can be the first step towards recovery. An attorney will work to help you obtain all of the compensation you may be entitled to, including damages for missed time at work, medical expenses, repair costs, and costs of pain and suffering.